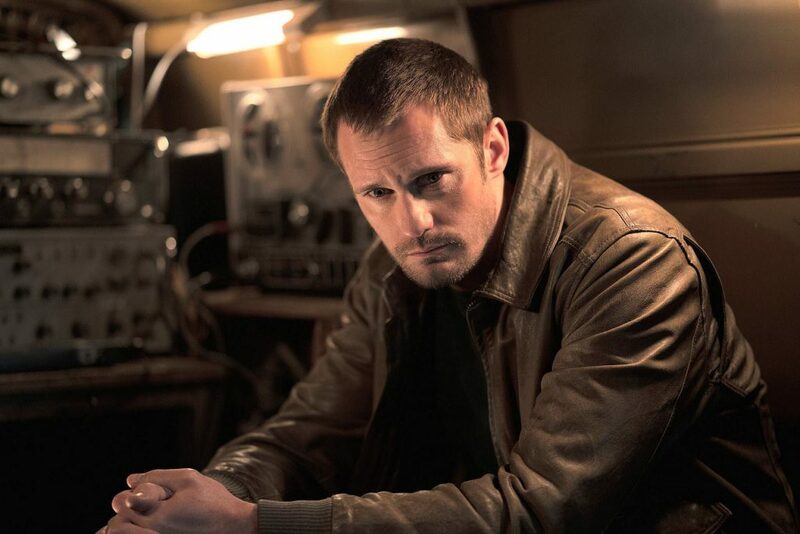 Congratulations to Alexander Skarsgard for his win tonight! He won a SAG award for Outstanding Performance by a Male Actor in a TV Movie or Miniseries. 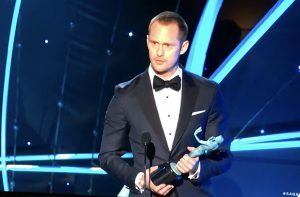 He won for his role in HBO’s “Big Little Lies”. He looked pretty surprised to win! He did an amazing job in his role as Perry Wright but was up agains tough competition including Robert DeNiro! 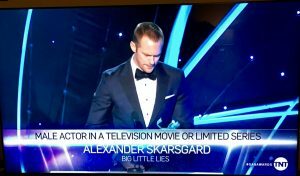 Alex is on a roll so far winning an Emmy, Golden Globe and now a SAG award for his role in Big Little Lies! So happy to see him win!! 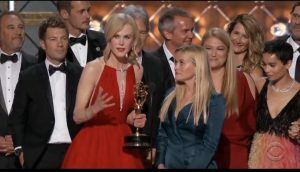 His co-star Nicole Kidman also won a SAG for her role in Big Little Lies! 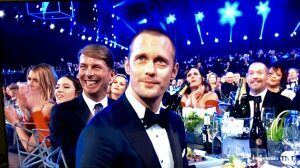 This entry was posted in News and tagged Alexander Skarsgard, Big Little Lies, Nicole Kidman, SAG award, SAG Awards 2018 on January 21, 2018 by admin. 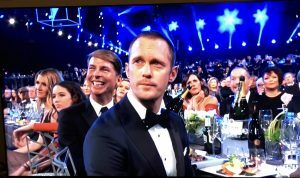 This entry was posted in News and tagged Alexander Skarsgard, Big Little Lies, Emmys, Golden Globes, Golden Globes 2018 on December 11, 2017 by admin. 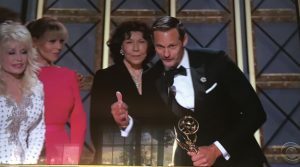 Alexander Skarsgard won an Emmy for his performance in Big Little Lies. This was his first nomination. It was awesome to see Alex win and thank his mom My who attended the awards with him. Loved seeing him holding that Emmy! Here’s to many more awards and great roles for Alex!! Lots of great photos from the red carpet. It was great to see him and his mom!! The series also won an Emmy! Great to see Alex back up on the stage! 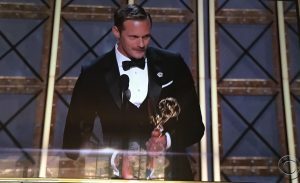 This entry was posted in News and tagged Alexander Skarsgard, Big Little Lies, Emmys, emmys 2017 on September 17, 2017 by admin. Great news today! 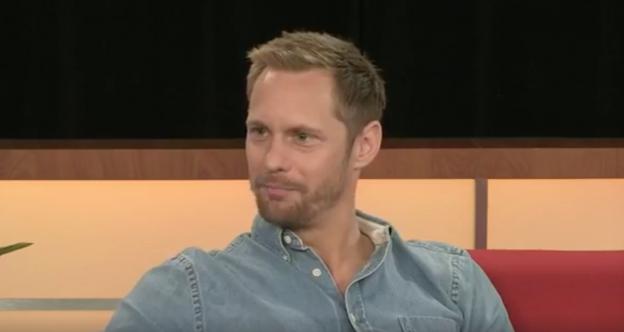 Alexander Skarsgard has been nominated for an Emmy for his role in “Big Little Lies”. He was amazing in his role as Perry for the limited series. Keeping fingers crossed that he gets the nod when the Emmy winners are announced! 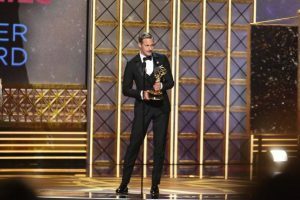 The Emmys will air on September 17, 2017. Keeping fingers crossed. 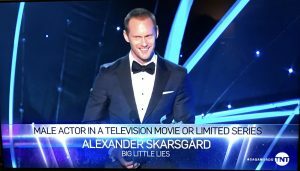 This entry was posted in News and tagged Alexander Skarsgard, Big Little Lies, emmy, Emmy 2017 on July 13, 2017 by admin. 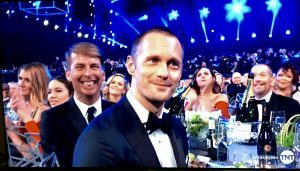 This entry was posted in Videos and tagged Alexander Skarsgard, Big Little Lies, Nicole Kidman, Reese Witherspoon on March 21, 2017 by admin. 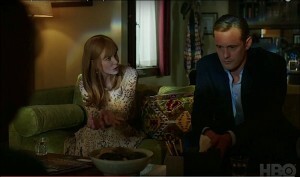 HBO posted a new preview for Big Little Lies episode 4. We learn a little bit more of the Monterrey group in each episode. Of course still do not know who was killed yet! This entry was posted in Videos and tagged Alexander Skarsgard, Big Little Lies, Nicole Kidman on March 6, 2017 by admin. HBO released a promo video for the third episode of Big Little Lies. 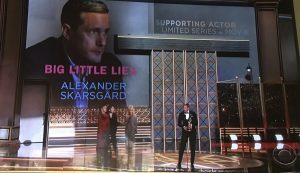 This entry was posted in News and tagged Alexander Skarsgard, Big Little Lies, Reese Witherspoon, video on February 27, 2017 by admin. 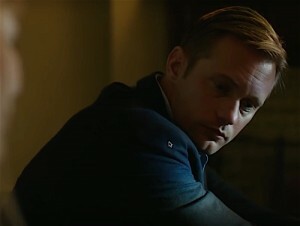 This entry was posted in Videos and tagged Alexander Skarsgard, Big Little Lies, Nicole Kidman on February 21, 2017 by admin.